…Energy rules the planet, and the energy of sexual attraction is not an exception to that rule. Every person has a specific energy make-up or temperament that you may find very attractive or dislike. Wouldn’t it be nice to understand which energy you’re often attracted to and how you can find your perfect mate? Well, we are here to help you do just that! Today’s world is moving at a face pace. With movies, TV, and social media outlets that burst bits of information at us 24 hours a day, hot celebrities are seemingly everywhere. Here is our Elemental take on some of the sexiest celebs that you may be thinking about when your mind wanders. 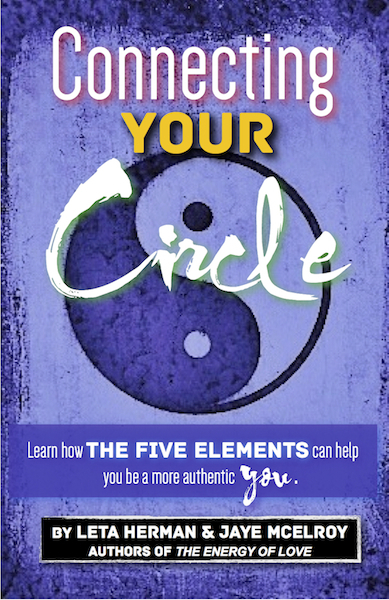 We also will help you apply the Five Elements in your day-to-day relationships (minus the hot celebs, sorry)! Wood – Weak in the knees for the strong and witty types? Do Ryan Gosling, Tom Cruise, or Robert Downey Jr. do it for you romantically? How about Madonna, supermodel Gisele, or Tina Fey? What makes these celebs hot is not just their good looks, but also their decisive leadership capabilities. Many people are attracted to Woods because they are always leading the pack. They may be good-looking, but do you want to be with someone who is loud, cocky, and almost always right … all the time? To live with such Wood men and women, you need to be willing to give over the reins in your relationship and let them run the show most of the time. 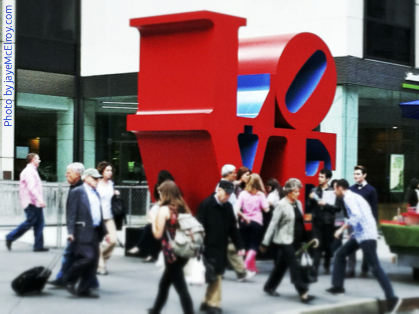 If not, you might be in a constant tug-of-war power struggle or seemingly endless road bumps in the relationship. The most important thing to remember if you’re interested in Wood … Woods can be easily bored in a relationship. You need to keep it fresh, new, challenging, and stimulating when you’re with a dynamic Wood person. Wood also likes being and having the best, so if you want to be on the A-team and are up for the challenge, this could be your game, set, and match. Fire – Do you swoon over the smiling, lovable men? Do Twilight’s Robert Pattinson, Leonardo DiCaprio, or funny man Jimmy Fallon send you into a daydreamy state? What makes these men hot is their passion and enthusiasm. How about Cate Blanchett, Amy Adams, or Drew Barrymore. Their love of life is infectious and bubbling over wherever they may be. When a Fire puts the laser-tag playful focus on you, it’s irresistible and hard to deny. In a long-term relationship with a Fire person, however, you may find it difficult to accomplish the more day-to-day reality “stuff” successfully. They’re easily distractible by the next shiny thing or toy, or in some cases, the next beautiful romantic interest. You will need to find a way to their beautiful hearts and keep making that connection—all the time. It’s all about connecting with your eyes and your heart with these Fire-y divas, but well worth the efforts. Earth – Are you smoldering over the down-to-earth steady men, like U2’s lead singer Bono, Star Trek’s Zachary Quinto, or Eat, Pray, Love’s sultry leading man Javier Bardem? These Earths are so much more than their hunky bodies and beautiful faces—they’ll actually listen to you, and really appreciate deep conversations about your relationships. Isn’t that every woman’s dream? Earth women like Beyoncé and Christina Aguilera are rocking their worlds wherever they go. If you’re into these Earth Element types, it’s easy to have a long-term and very comfy relationship with them, but be careful if they’re doing more work than they should. They can get bossy and annoyed, even very demanding at times with their close family members. They love food and family, and you are required to love both too! If you are into big family events and long talks that last all night, this could be your dream Element come to life here on Earth. Metal – Love the bad boys? You know the ones everyone wants but no one ever gets to really know? Dig the mysterious Johnny Depp, Liam Neeson, and Colin Farrell type? Angelina Jolie rock your world? The Metals are soooo cool and so desirable to many, but they can be aloof and loners in society. You want to know what makes them tick, but good luck finding a way into those secrets! They love quiet times and very sensual, very deep encounters on many levels. Metal can appear shy or even just fade into the background at social scenes, since they are not always comfy being front and center or in the limelight unless they have to. The challenge with Metals is you need to be sincere, and learn to accept their quietness. Metal is precious if you are wanting that cosmic, deeply connected and profound type of love. Water – Crave excitement and intensity in life? Are you into Justin Timberlake, Kevin Hart, and Channing Tatum? These crazy Water boys love to laugh and love life. Water celeb women like Zooey Deschanel and Jennifer Lawrence are all about unpredictability. They are the X factors in the Elemental world. They are so different, so amazingly chill—sometimes—or amazingly wired for life, you just never know! Waters could take you rock climbing one weekend, and couch surfing with TV the next. To love Water, you need to be flexible, fun-loving, and always up for something new out in the world and in the bedroom. Intensity that builds and builds along with deep wordless connection when making love is a rush for many and a turn off for others. Water is a ride of a lifetime and full of surprises in the romance department. Finding the right Elemental Energy match can be fun and exciting and much easier than you think once you know your Elemental energies. So, start the journey of self-discovery and find that perfect energy match for you and your life right here and now. Break through the past and find your future lover. We believe there is no wrong or right—no mistakes. You are on a journey, your own personal journey through life, and no one can tell you what you have done in the past is good or bad, it is just what it is. With that said, let’s put the past in the past and start anew. Learning about yourself is the first step to finding your energetic dream match. 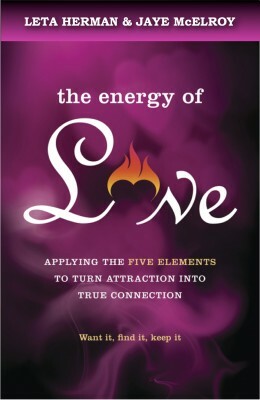 Want to check out our books or learn more about Love and the Five Elements? ← Prince (or Princess) Charming, or Eh, Not So Charming?